Sea Shells Beach Club in Daytona Beach, Florida, once again has been honored by TripAdvisor® as a top-rated lodging business with a Certificate of Excellent Award. Based on Traveler’s Reviews, it was selected last year as well. The Certificate of Excellence is awarded only to the top-performing 10 percent of businesses listed on TripAdvisor. To qualify, businesses must maintain an average rating of four or higher out of a possible five from travelers’ reviews signifying a superior customer experience. Owned and managed by Global Connections, Inc. (GCI), the 37-unit Sea Shells Beach Club is located directly on Daytona Beach and features a mix of ocean view and oceanfront efficiencies and studios, as well as one- and two-bedroom condominium units. 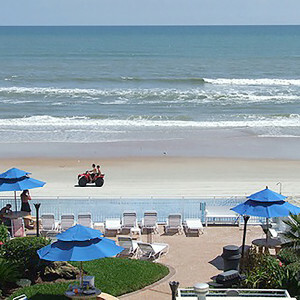 Resort amenities include a heated oceanfront swimming pool, barbecue area, bicycles, beach chairs and boogie boards.